@mindtrix: Don't forget Spell Decks! "Mission Briefing" triggers some effects like "Young Pyromancer" that Snapcaster doesn't. And Standard Control Decks probably want to run this, because there is no Snapcaster in Standard, although this depends on having 1 or 2 mana removal and cantrip. It only got one potential home in my book, in legacy Solidarity (Hightide+Reset). The thing is Snapercaster Mage + Snap-shenigans are most likely better. Sure, this digs deeper and dont target any card in graveyard but it wont make as much potential crucial mana as snappycombo. @joven. It is as written a"kind" of replacement for the Gearhulk, because it flashbacks an instant. 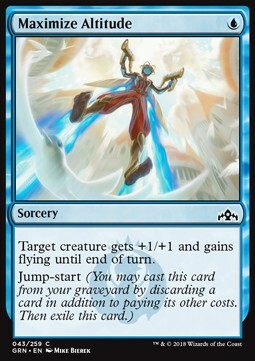 The low costs of Mission Briefing enables to flashback a lot of instants and sorceries, even before you have access to six Mana like needed to play the gearhulk. That is the advantage of it. For sure it is not an replacement! The Gearhulk enabled a lot more strategies because it was a creature and an artifact. But it is the one and only card in standard that can flashback an instant at instantspeed. @Revenge: How exactly does "Mission Briefing" replace a 5/6 Flash creature that casts an instant from graveyard _without_ paying its mana cost? The biggest drawback of "Mission Briefing" is that it has zero board impact on its own. And the cost is high because you have to pay the spell card that you cast from graveyard. Nice instant with value for different formats like standard, commander and modern. Standard: Kind of replacement for the beloved Torrential Gearhulk, with sorceries as bonus target. Surveil sounds very interesting, helps to improve the target base of Mission Briefing by two cards, but how useful will it be in standard? Future will show if Mission briefing will be a standard staple, because of surveil or instead, it will see competetive play for sure. 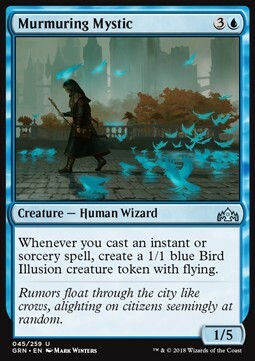 Modern: Reanimator, Storm or graveyard decks will have use for that card, all others will use Snapcaster Mage instead, but its UU costs are a hitback for all multicolor decks, so I think Mission Briefing will enter Modern if the surveil ability gets some more cards for support and generating card advantage, or as a cheap replacement for Snapcaster, but only for modern beginners, or players with small budget. Its price at the moment is far too high. I think it will get a lot cheaper with release and the first standard tournaments. Its like a Snapcaster Mage, but worse..